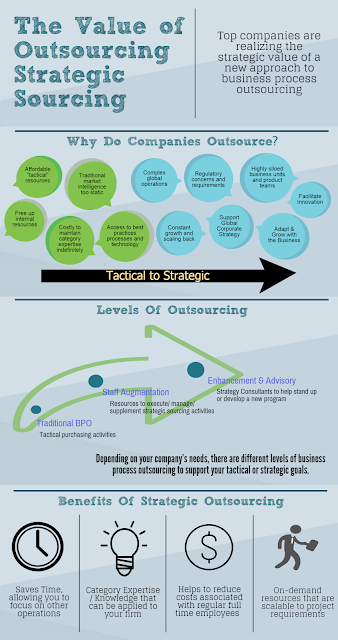 Business process outsourcing (BPO) doesn’t begin and end with hiring a firm to handle day-to-day tasks. In fact, there are alternative options that make it possible to drive strategic value for your company as whole through outsourced processes. Beyond traditional BPO, firms can also seek staff augmentation and enhancement and advisory services to provide supplementary category and strategic expertise. Each of these options bring to the table a new level of support for your internal operations. Staff augmentation, for example, can add resources to your team to boost specific processes, such as strategic sourcing. One step further, enhancement and advisory services supplement your company’s team with strategy consultants to provide guidance for a variety of initiatives, such as standing up a procurement organization or developing a new category management plan. The challenge, however, is understanding the maturity of your company’s internal operations and identifying the right outsource model that supports your overarching goals. The trick? Begin by defining your company goals. Are you looking to free up your own internal resources by finding a firm to manage the day-to-day tactical tasks? Or are you in need of resources to support your company’s expansion into a new market? Answering questions such as these will help provide a foundation for making the right outsource decision that aligns with your objectives. Hand-in-hand with understanding your company’s goals is recognizing your company’s long- and short-term opportunities. The combination of knowing your goals and future opportunities is critical to not only choosing the right outsource model but also selecting the right partner. This fall, Source One experts will be speaking on the value of Business Process Outsourcing at Q1 Productions’ Pharmaceutical Procurement and Strategic Sourcing Conference and Worldwide Business Research’s ProcureCon Pharma 2015. Leveraging experience shaping the future of procurement in the pharmaceutical industry, consultants from Source One will discuss the different types of outsourcing, how to negotiate the best terms and conditions for unlocking value, and how to develop effective relationships with outsourced providers. It’ll be another busy fourth quarter for the procurement services provider. In addition, the firm’s experts will also be engaging attendees at UnimarketNow 2015 and the United States-Mexico Chamber of Commerce, as well as students at Temple University’s Fox School of Business Job Fair. 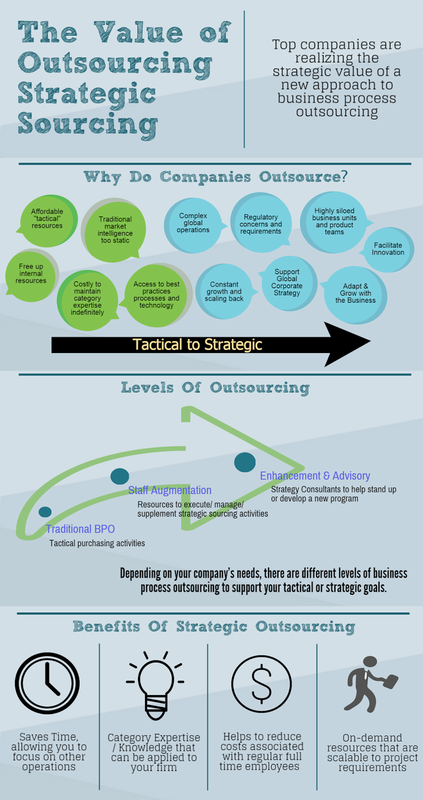 For more information on outsourcing, visit Source One’s Business Process Outsourcing Advisory.